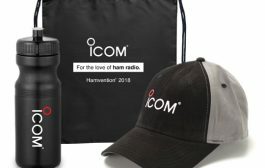 To promote contacts between Radio Amateurs around the globe and Israeli Hams. To aid Amateurs to achieve the “Holyland Award” and other Israeli awards. Eligibility: All licensed amateurs and SWL’s worldwide. 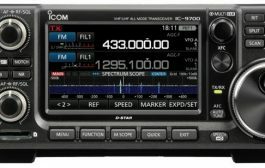 Object: To contact as many different Israeli amateur radio stations on as many bands, and from as many ‘Areas’ as possible in different modes CW, SSB and DIGITAL. Start: Friday 15 of April 2016, 21.00 UTC. End: Saturday 16 of April 2016, 21.00 UTC. Single operator – MIX (all bands). Single operator – SSB only (all bands). 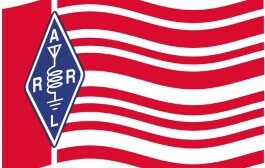 Single operator – CW only (all bands). 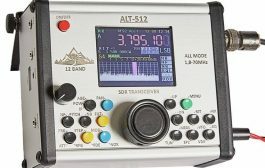 Single operator – QRP 10w (all bands). Short Wave Listeners – SWL. Checklog – Entry submitted to assist with the log checking. The entry will not have a score in the results. Modes: CW; SSB; Digital; MIX. (Mixed = minimum 2 modes). Bands: 1.8, 3.5, 7, 14, 21, 28 MHz. According to the IARU Region-I recommendations: 3.50-3.56, 3.60-3.65, 3.70-3.80, 7.06-7.100, 7.130-7.200, 14.00-14.06, 14.125-14.300, 21.00-21.08, 21.20-21.40, 28.00-28.10, 28.50-28.80 MHz. Worldwide stations send RS(T) + QSO number starting with 001. Israeli stations give RS(T) and ‘Area’. The same station may be contacted in CW, SSB and Digital mode on each band. It is thus possible to make up to 18 valid QSO’s with the same station if worked in CW, SSB, and Digital on each band. Digital mode users may work either RTTY or PSK31, but only once on each band. RTTY and PSK31 are the same Digital mode. Neither Cross-Mode nor Cross-Band contacts are permitted. 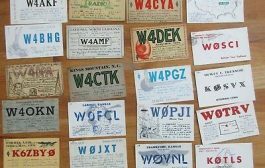 1 point for each QSO on 14 – 21 – 28 MHz. Multipliers: One multiplier for each ‘Area’ worked once per band. Note: A district ‘Area’. See explanation below. Final score: To calculate the final score, multiply the sum of QSO-points on all bands with the sum of multipliers worked on all bands. Logs: Electronic submission of logs is required for all entrants who use a computer to log the contest or prepare contest logs. Each entry shall report: Time UTC, call sign, band, mode, RS(T)S, QSO number sent, RS(T)R (‘Area’ received) and points. A log without all required information may be reclassified to Checklog. SWL’s shall report on Israeli stations only: UTC, band, mode, call sign, stations worked, RS(T), ‘Area’ sent and points. The CABRILLO file format is the standard for logs. See for detailed instructions on filling out the CABRILLO file header. Failure to fill out the header correctly may result in the entry being placed in the wrong category or reclassified as a Checklog. Web upload is the preferred method of log submission. Web upload of logs is available at http://www.iarc.org/iarc/#LogUpload. Email submission is also available. 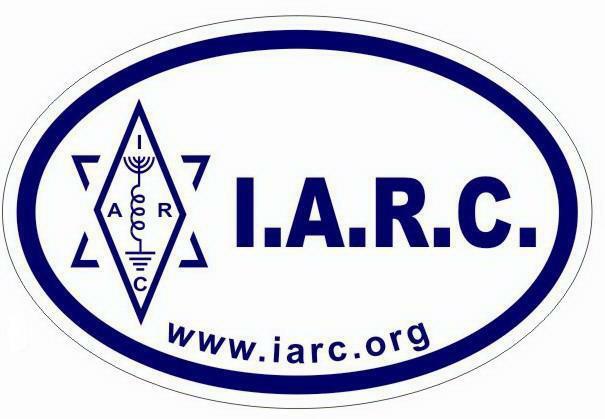 Logs in CABRILLO format should be sent to 4z4kx@iarc.org. 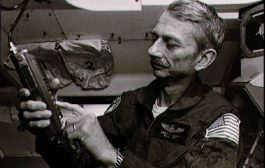 Include only the entry call sign in the “Subject:” line of the e-mail. For NON-CABRILLO electronic logs. If you are not able to submit a CABRILLO format log, please contact the Contest Manager for assistance with submitting another format. Submit log deadline Log must be submited not later than May 31. A trophy for the overall winners – Multi Ops. A trophy for the overall winner – MIX – Donor “Holyland DX Group”. A plaque for the overall winner – CW – Donor “4X-FOC Members”. A plaque for the overall winner – SSB – Donor 4Z4KX in memory of 4X1OZ. A plaque for the overall winner – QRP – Donor 4X4FJ. A plaque for the overall winner – Digital mode – Donor 4X6ZK. A plaque for the overall winner – SWL. A plaque for each continental winner – only highest scores. NA Continental Winners Plaque – Donor K2ARB in memory of Al Hix W8AH. Trophies and Plaques will be awarded to the top scorers in their Winning Categories only when the minimum of 50 valid QSO’s points has been reached. Israeli mobile stations may move and change their location during the contest, into 5 different ‘Areas’, restricted to an operating time of at least one full hour per ‘Area’. The operation from each ‘Area’ gives that station the status of a different station with another call, thus giving additional contest points and multipliers. To identify its different location / ‘Area’, those stations will change their call signs by adding a number after their prefix. For example 4X4JU will use 4X41JU, 4X42JU…4X45JU or 4X6JS will use 4X61JS, 4X62JS etc. Software: The software recommended to use. The country is divided geographically, by the Survey Department of Israel, into a grid system resulting in squares of 10 by 10 Kilometers. North to South coordinates are identified by numbers, while West to East coordinates are identified by letters. The square is defined through the combination of the relevant coordinates i.e. E14. The country is divided into 23 administrative regions and regions are not multipliers! The ‘Areas’ (multipliers): An ‘Area’ (multiplier) is made up from the 10 by 10 km. grid reference square and the region. For example: F15TA, E14TA, H08HF. The ‘Area’ is the basis for the “Holyland Award” and the “Holyland DX Contest”. For that purpose the ‘Area’ must contain land and only that land or any waterway in that ‘Area’ is considered to be the ‘Area’. Region Boundaries: The region boundaries are drawn in an arbitrary manner so that often the 10 km grid reference square does cover more than one single region. For example, the square H08 lies partly in the region of Haifa, partly in the region of Hadera and partly in the region of Yizreel. As a result one may work, in the same square, three different Areas – H08HF, H08HD and H08YZ. Country Road Map with a 1:100.000 scale, comprising 6 sheets. Region Map with a 1:250.000 scale, comprising 2 sheets. All logs received by e-mail will be confirmed by e-mail. QRZ Now thanks for the help and support from Amir Bazak 4X6TT ! Can you hear SamSat-218D ?